Minimal upfront infrastructural and software investment. Key management costs are a fraction of client-centric encryption products. Centralised key management, distribution and revocation – maximum protection anywhere with minimum effort. Central enforcement and monitoring of regulatory, legal and policy compliant data protection as well as outside the corporate perimeter. Non registered recipients can decrypt using the simple ‘in message’ sign-up link. There is no trade-off between security and agility. Scentrics can be accessed from anywhere via a simple to download plug-in. Universal protection is afforded for the mobile enterprise. Keys are never stored on the client device. Data on lost devices cannot be decrypted and remains secure. 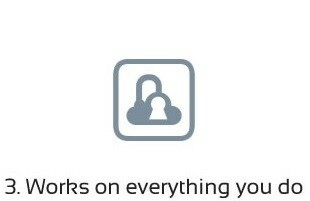 Secures all messages on all devices. Secures across all mobile platforms: Android, iOS, Windows and Blackberry. 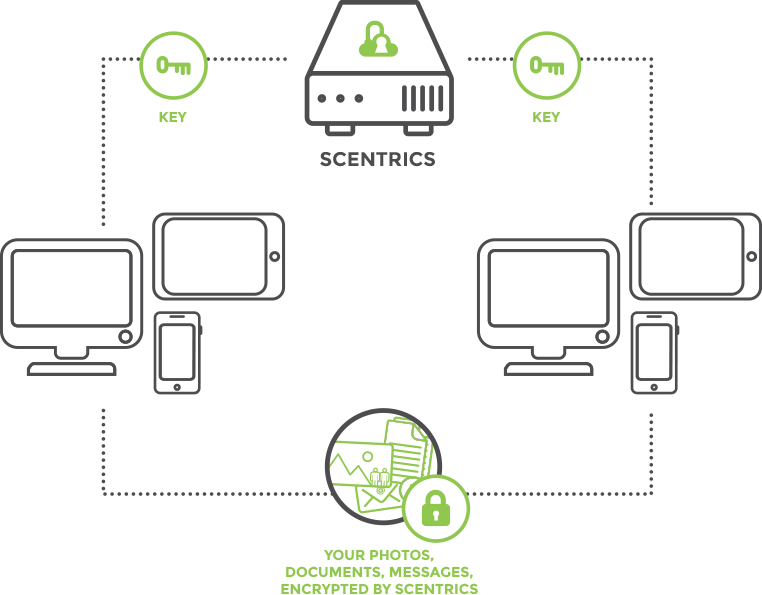 Scentrics encrypts and signs email (MS Outlook and webmail), SMS, MMS, social networks. Moderation feature keeps you in control of your corporate social networks presence – eliminates trolling, securing your online reputation. Encrypts all data and images stored in the cloud, securing your migration to the cloud. Send secure emails in public networks – one click to encrypt – secures all messages everywhere. Works with all major anti-malware solutions for seamless disinfection and prevention. Regulatory & policy compliant security. Centralised key management from the cloud for your global mobile workforce. TPM integration ensures integrity both inside and outside the corporate VPN. Mobility without the added risk. Set and monitor policy compliance for all devices wherever they are. Legitimate corporate interception of inter-party communications made possible through the key escrow feature. 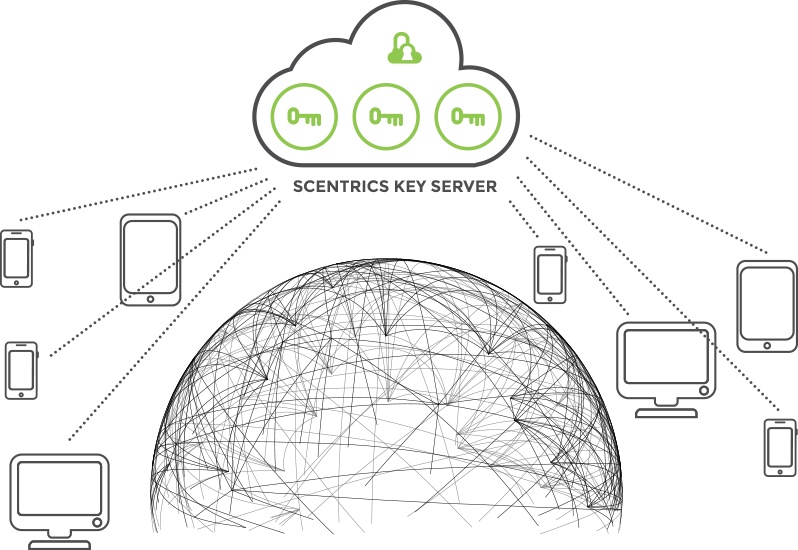 Server-centric key management – low cost, scalable & efficient. 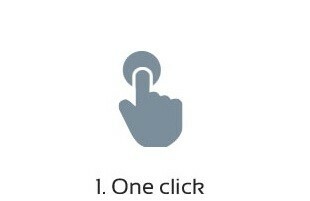 No complicated client installation or synchronisation required. No keys stored in the client results in data on lost devices stays secure. Scentrics seamless security for the agile business. Scentrics enterprise security – Data secured in one click. Employees are more mobile than before which results in more endpoints to manage and secure. BYOD risk requires unified policy and heterogeneous protection. More confidential and business critical data in the cloud means securing beyond the corporate perimeter. Social networking as an integral component of business strategy increases exposure to security risks. Traditional encryption solutions require complex key management and PKI, making them costly to install and maintain. The current heterogeneous mobile environment requires a unified and lower cost approach that addresses the increased risk of data loss. Complicated further by a cumbersome end user process and keys stored on the user device, current encryption solutions do not meet the needs of the global agile business, its mobile workforce, BYOD policy and regulatory requirements. Provides seamless protection of all messaging and communications: email, SMS, MMS, social networks, cloud file storage. Seamless across all devices – mobile and desktop and on all email clients and mobile operation platforms. Provides security of content across all devices and to the devices themselves. Data remains inaccessible on the lost device – removing the risk of data-loss. Offers true non-repudiation and complies with the regulatory requirements. Keys managed from the cloud significantly reduces administration and cost. Scentrics is truly SaaS compliant. Integrates with all major anti-malware applications to protect and read across all applications. Built with the mobile device in mind – just one click to encrypt across all applications.